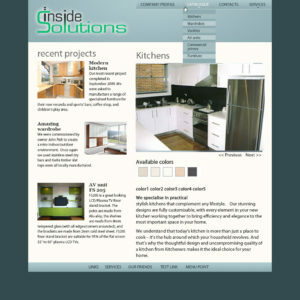 Client: Inside Solutions.Sydney based kitchen furniture. Job: Website Design. Google Adwords. Google Analytic.CMS.